Same day shipping on most orders. Domestic orders will be shipped UPS ground. UPS will email you the tracking information for your order. 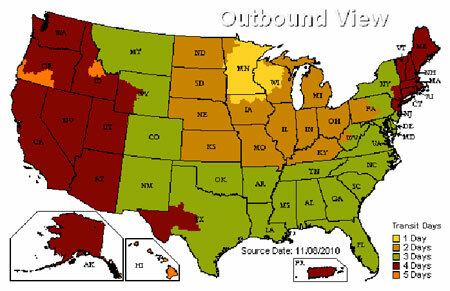 International, Alaska and Hawaii will be shipped US Mail. The US Mail will email you the tracking information for your order. You will be contacted via email with rates and options for mail shipments and orders that total over $1000. Any applicable taxes, duties and fees charged by the destination country are due upon pick-up or delivery and are the responsibility of the recipient. Expedited shipping is available. Please email, call or text us at 218.393.1837 for information on expedited delivery. All international shipment freight charges will be quoted. Your international shipment will not ship unless you reply to the email about shipping quotes. We reserve the right to cancel any order or delivery. We are working on real time shipping with our new eCommerce site. We are hoping to have it set up soon! Broomball.com cares deeply about the environment and reducing waste. We recycle! We recycle boxes and packaging and if possible we will ship a product in the box that the product came in. A few good examples would be that we will ship a pair of shoes in the shoe box. Or, when a customer orders a broom and a pair of shoes, we will take the shoes out of the box and ship in a longer box that will fit the broom and shoes. Or, if you put together a group order with multiple items, Broomball.com will condense your order to ship it in a smaller box to save your group on shipping. We understand that you may want a clean box if it is a gift. You can request that we ship the order in a new box if you would like. All you have to do is make a note in the instruction/comment box at check out or email or text us. If not requested, we will ship in the best way possible to reduce waste and shipping costs.